Whatever your own particular circumstances, divorce is a painful experience. First comes the denial, then the anger, and often after that comes a period of hopelessness and feeling completely lost. 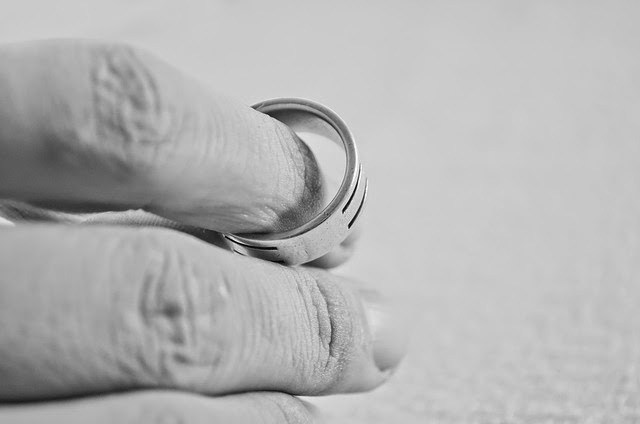 Whether the marriage lasted a few years, or a few decades, the process of divorce can also seem a harsh and callous one, but sometimes, it has to be done and you have to learn to cope with it. If you are in the process of a divorce, then I truly feel for you, it stinks! Here are ten tips that I hope will help you cope with the process. Don’t go into a state of denial because that won’t change a thing. If the relationship really has run its course and there has been too much water under the bridge to turn back, then you do simply have to accept it. You can pretend that it’s not happening, that your partner will change their mind, or perhaps you can make amends for something you have done, but seriously, don’t flog a dead horse! It just makes the pain last for longer. Don’t expend all your energy on anger, be that directed at your partner, or at yourself. The blame game won’t solve anything either, you should be concentrating on getting things organised so that you can start rebuilding your life. Concentrate on the practicalities of where you are going to live and, yes, find a decent solicitor. Whoever has walked first doesn’t matter; you still need to come to some form of agreement on the finances, even before you start the legalities of a divorce. A big mistake that I made was that I delayed separating my bank account from the joint account and, guesses what? My wife kept on spending my money at the same rate she did before we separated! 4. Don’t forget the kids! It’s easy, with all the anger and recriminations, to forget sometimes that kids are going through hell too. Make time for them and, if they old enough, talk to them about what is happening and, never, ever, let the kids become one of the bargaining chips in the divorce settlement. People say that children are ok with divorce, because it’s so common these days and that’s true to a certain extent, but it’s still a very different matter when it’s your own mum and dad that are doing the divorcing. No one wants a messy and acrimonious divorce; it’s painful enough, without all that. Splitting your possessions between the two of you can be a difficult process, but it can be achieved without unnecessary nastiness. Don’t, however just walk away and leave everything to your partner, as so many men seem to do. Even if your wife and kids stay in the marital home, you are still entitled to half (in theory) of what you jointly own. Try not to look at your marriage as a complete waste of time, there must have been some good times too. This may take some time to happen, but eventually you will look back on it as just one of many chapters of your life. You may even see that experience taught you some valuable lessons, without which you wouldn't be happy as you are now. Definitely don’t try and deal with this all on your own. However strong you think you are, a divorce is emotionally draining and having friends and family around you can give you just the support that you might need. Being married, you probably did most things as a couple, but now you need to reengage with the people that you trust and get their support when you need it. 8. Enjoy the single life again! Look on the bright side! Divorce isn't all bad. Now you are free to enjoy a curry in front of the TV, slob around all day without having a shave or getting dressed and you can fart in be to your heart's content! Seriously, it can actually be fun getting do whatever you want again, you can spend time with mates, or you could take up a new hobby. Your time is now all yours, so make the most of it. Once all the crap is out the way, and the dust has settled, now is the perfect time to stock of your life and to look at here you go from here. This can actually be quite an exciting time, because you suddenly have no ties or commitments. If there are no children involved, the world is literally your oyster! You probably won’t believe this, if you are in the midst of a breakup up right now, but eventually, most people do forgive and move on. I was the ‘dumped’, rather than the ‘dumper’ in my divorce, so I did feel very bitter at the time, but then; I was no angel either, to be honest. There are usually faults on both sides in a divorce and the best thing to do is to forgive and move on with your own life. Holding on to anger or regret is just a waste of time.